SINGAPORE (Reuters) – Brent crude rose to near $114 a barrel on Tuesday, after steep losses in the previous session, but gains were limited as investors weighed the impact of the Federal Reserve’s stimulus push on oil demand and eyed China’s next step to boost its economy. Brent crude fell more than $5 a barrel late on Monday in a wave of late, high-volume selling that many traders said appeared to have stemmed from an automated computer trading program. The U.S. Commodity Futures Trading Commission said it was looking into the incident and checking with exchange operators CME Group and Intercontinental Exchange . Brent crude for November delivery was up 19 cents at $113.98 a barrel by 0450 GMT. Brent, which had settled at $116.66 a barrel on Friday in its seventh straight session of gains, sank on Monday from $115.20 at 1752 GMT to $111.60 three minutes later as trading volumes shot up. U.S. crude slipped from $98.65 a barrel to below $95 in the same three-minute period. The October contract, which is set to expire on Thursday, was trading 16 cents higher at $96.78 a barrel by 0451 GMT. The wild price fluctuations were not fundamentally driven, traders said, and were probably triggered by lower-than-normal trading volumes due to a Jewish holiday, a drop in U.S. equities and the euro, and speculation about the possible release of U.S. strategic stocks. “As far as this being a sell-off that was fundamentally driven…slim chance, I don’t see it,” said Jim Ritterbusch, president of energy consultants Ritterbusch & Associates in Galena, Illinois. “This was simply a case of a lot of people doing the same thing at the same time, they were feeding off the rumor of an SPR release, and you add that to the other market moves in equities, the euro and you get the perfect storm.” U.S. and European stocks gave back some of last week’s huge gains on Monday as investors began to question whether recent action by both the European Central Bank and Federal Reserve would be enough to revive global economic growth. “To a certain extent there are still a lot of questions about the economy. With every QE (quantitative easing) announced the effect packs less punch especially since we are in a near zero interest rate environment,” Ritterbusch said. “All eyes are on China now to see if the government there will increase their stimulus spending program.”China’s September survey of purchasing managers due out later this week is not expected to show any pick-up in activity, with Goldman Sachs looking for more weakness following August’s reading of 47.5. A Reuters poll showed that China’s economy would slow further in the third quarter and regain momentum late in the year, but growth would still be below 8 percent, a level not seen since 1999. The White House said late on Monday it was still considering a release from the Strategic Petroleum Reserve but declined to provide more details and made no further announcement after the big dip in crude prices. Investors suggested that demand remained weak and additional crude was unlikely to find takers. “Demand is increasing…but that is not the kind of strength that can soak up supply from the market,” Ritterbusch said. Last week the International Energy Agency (IEA) said global oil demand would remain depressed for the next 18 months, with demand globally forecast to grow at a rate of around 0.8 million barrels per day or 0.9 percent in both 2012 and 2013. 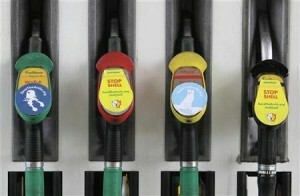 Oil remains supported by anti-Western demonstrations over a film mocking Islam’s Prophet Mohammad and escalating tensions between the West and Iran over its nuclear program. The tensions heighten the risk of supply disruptions in the region.